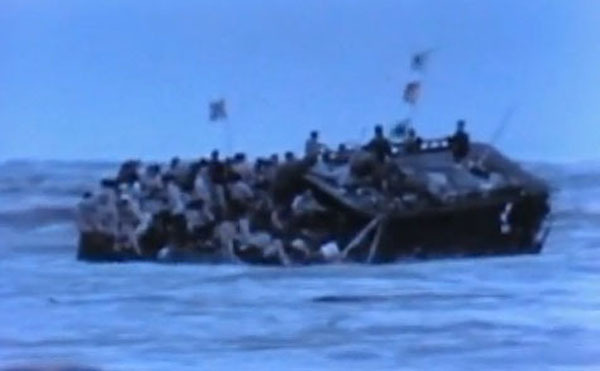 1954 Vietnam Exodus Operation "Passage to Freedom"
The Geneva Conference (April 26 – July 20, 1954). 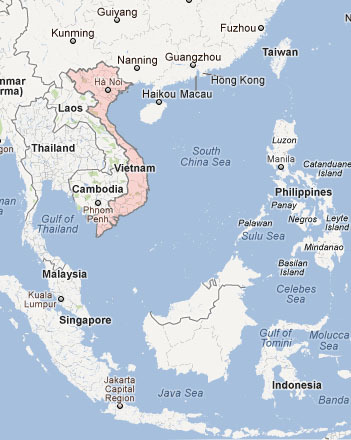 These agreements separated Vietnam into two zones, which would be divided at the 17th Parallel. 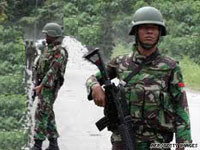 The agreements allowed a 300-day period of grace, ending on May 18, 1955, in which people could move freely between the two Vietnams before the border was sealed. The partition was intended to be temporary, pending elections in 1956 to reunify the country under a national government. 1975: The Vietnam War Ended. 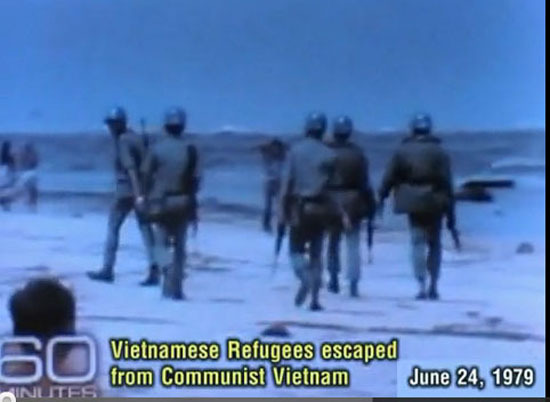 The year 1978 began a second wave of Vietnamese refugees that lasted until the mid-1980s. 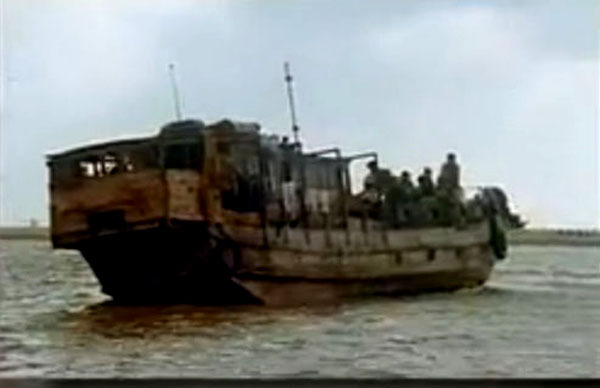 About two million people fled Vietnam in small, unsafe, and crowded boats. 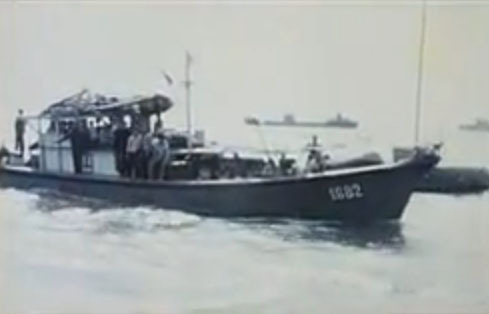 Vietnamese escaping by boat usually ended up in asylum camps in Thailand, Malaysia, Singapore, Indonesia, Hong Kong, or the Philippines—where they might be allowed to enter countries that agreed to accept them. 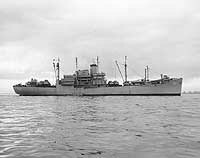 In August and September 1954, during one of her many Far Eastern deployments, USS Bayfield (APA-33), 1943-1969 took part in Operation "Passage to Freedom". 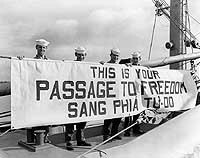 In August 1954, the USS Montague sailed to Ha Long Bay, south of Haiphong, and began assisting in the movement of refugees to Saigon. This effort, a consequence of the end of France's Indochina war, transported more that three-hundred thousand people, nearly seventy-thousand tons of cargo and over eight-thousand vehicles from northern to southern Vietnam between August 1954 and May 1955. The 1954 partition of Vietnam resulted in the exodus of over 820,000 refugees, the majority of them Catholics, from the northern part of the country. 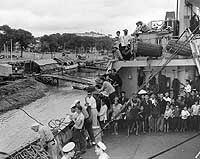 Most eventually settled with government assistance in the Central Highlands or on the outskirts of the capital city of Saigon (now Ho Chi Minh City). Courtesy "Naval History & Heritage Command Photographic Department". 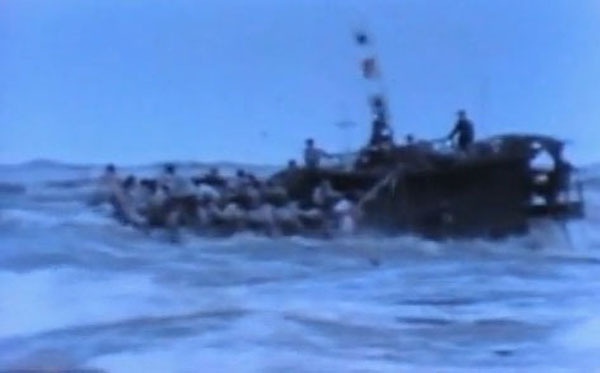 Prompted the second large-scale wave of immigration from Vietnam. Some 125,000 of us left Vietnam during the spring of 1975. Many South Vietnamese people — especially former military officers and government employees — were sent to Communist "reeducation camps." 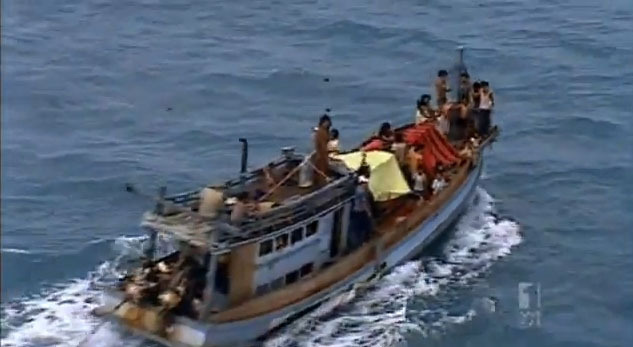 From 1975 to 1985, two million Vietnamese attempted to escape to Thailand, Malaysia and the Philippines. 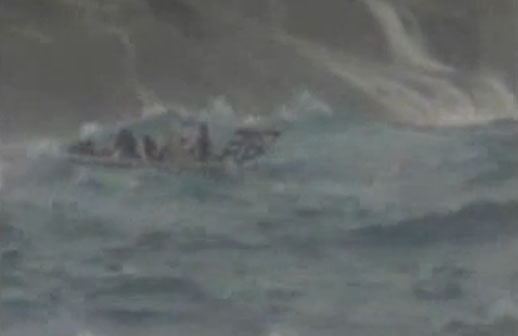 Approximately 500,000 people drowned. 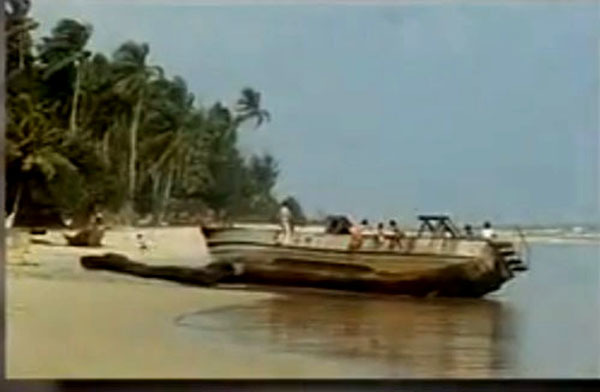 Between January and July 1979, Malaysia towed some 58,000 refugees back out to sea, many of whom died. Copyright © 2012-2018 Refugee Camps.info. All Rights Reserved.